WPC News Desk : Famous cartoonist and illustrator Debashish Deb has celebrated his 60th birthday with a bang at café Abar Baithak on 8 November. To make the ace artist’s birthday a special one the café is hosting a special week-long solo exhibition till 14 November. On the occasion Deb himself has narrated a memorable chronological description of his artistry. In a candid interaction with his friends and followers he shared secrets of his long career as an illustrator with Sandesh, Anandabazar Patrika and The Telegraph and various other magazines and books. Like his cartoons Deb was as animated as ever in his interaction too. Deb, a member of Cartoon Dal, a group of eminent cartoonists, has been congratulated by many on the occasion. His fellow members of the organization also attended the programme and shared their views on Deb as an artist as well as a colourful yet simple human being. Life of an artist has never been simple. Deb, too, had his early struggles but never surrendered to fate. He continued his work passionately and things began to fall in place after sometime. Deb did not forget to mention that his life as an illustrator had began without any proper planning. After admission to the Government Art College he recognised his love for painting for the first time. That love and affection have carried on for years now. 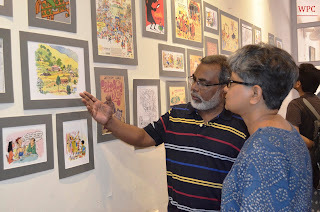 Deb is an artist who has inspired many illustrators in Bengal as well as across the country. He hopes to inspire many with his signature satiric style and humour in future too. 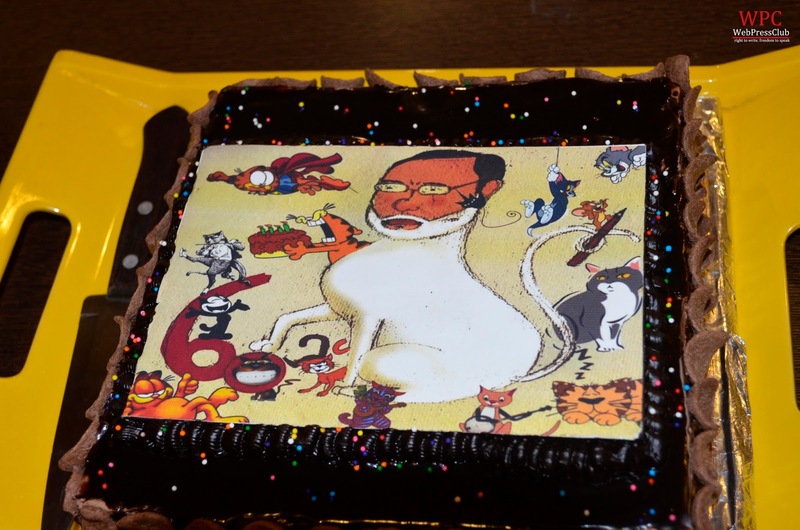 The celebration started with Deb’s own narration and ended with a cake that was specially designed by the café authority for the artist. There was a cake mixing ceremony too which was attended by Deb, artist Upal Sengupta and others.